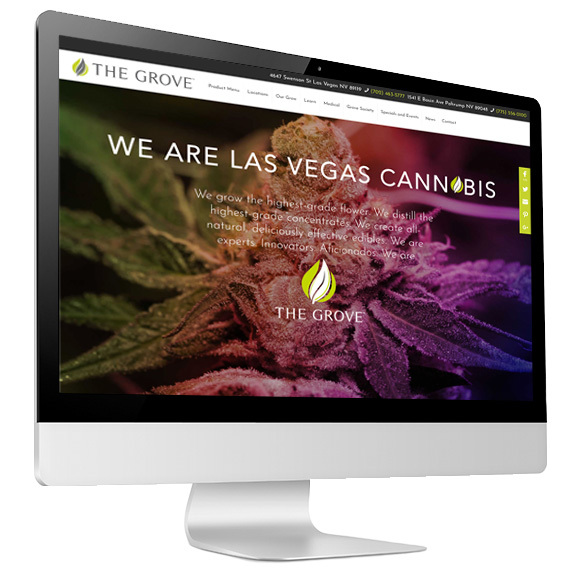 We met the owners of The Grove on our first business trip to Las Vegas. It was a particularly somber time as we had traveled the day after the mass shooting had happened. The owners were still incredibly gracious and showed us around their dispensary and grow facility. It was clear that they cared deeply about their community, and considered themselves to be an integral part of the healing that the city would need. 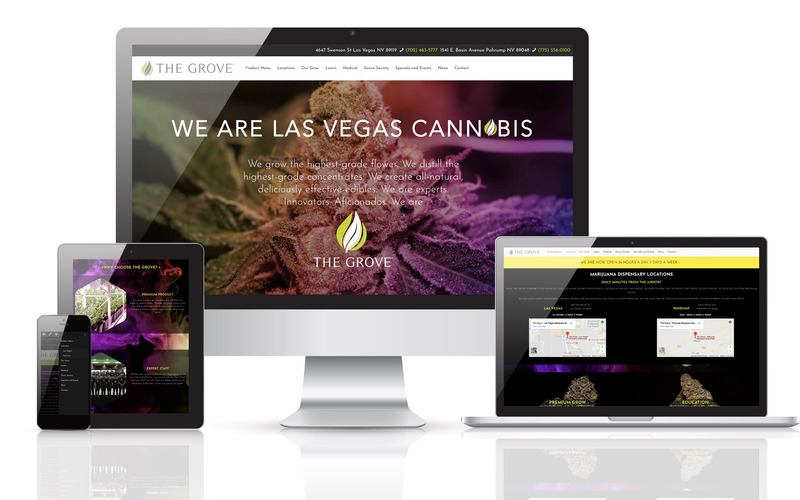 A cannabis website redesign can be tricky business at times. Luckily, the site was modern, and had a simple, clean design and great functionality. Once the site was rebuilt we applied our 100+ point checklist along with our off-page SEO. Using the content that was already on the website, we wrote location pages for each location that fit their brand identity. 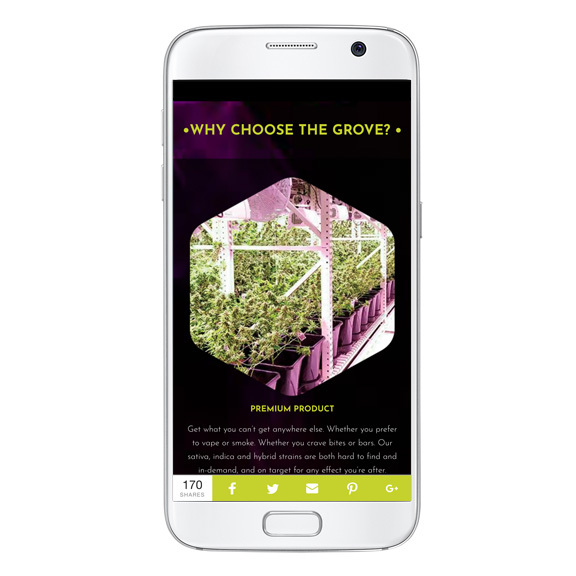 Location pages are a great way for dispensaries with multiple locations to add content with relevant keyterms to specific geographic areas.